Every episode of The Return left my mind reeling under an electrical storm of ideas, connections and questions. 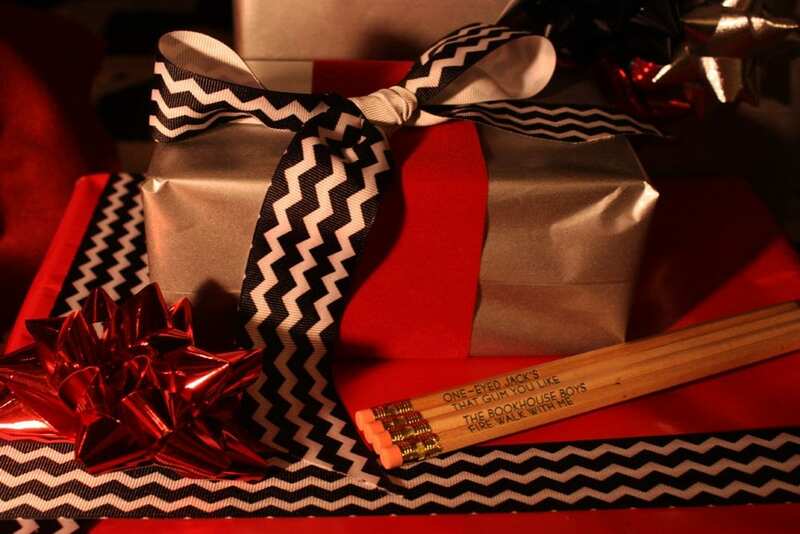 That’s part of what made watching this new incarnation of Twin Peaks such a unique and compelling experience. Nothing else on TV does this. 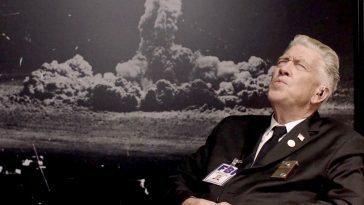 As I watched Part 11, in which the FBI agents visit Bill Hasting’s entrance to The Zone, I was left with one thought that just wouldn’t go away: David Lynch’s Deputy Director Gordon Cole is equivalent to William Shakespeare’s ageing sorcerer Prospero. And, in many ways The Return is Lynch’s version of The Tempest. The seed of this idea was planted by the image of Cole, arms aloft, under the whirling vortex of the sky – looking like an archetypal sorcerer. That idea mushroomed into something quite different and took me to places both wonderful and strange. Now – fair warning – there are going to be some leaps and stretches in this essay, so please bear with me. Some of what you’re about to read may seem a little tenuous. But, with that said, I believe there are some compelling parallels to be explored here. I’m not for one minute suggesting that Lynch has consciously mapped the plot of The Tempest into his work, or that he had the character of Prospero in mind when he created Cole. But I do believe there are enough textural and thematic similarities to merit comparing the two. The Tempest is Shakespeare’s final play (or at least the last he wrote alone). As such it is seen by many as his farewell to the medium of theatre. It is by turns a love-letter to the art, an exploration of its magic and a retirement speech from the playwright himself. Will The Return be Lynch’s last dance with television, perhaps even with film? It is too early to say, but it’s certainly possible. If this is his cinematic swansong, what better way to go out than with a sprawling, 18-hour epic? Aged 71, this is an opportunity that may never come his way again – based as it is on such a unique aligning of elements and events. A big-budget television happening, over which Lynch had full control and final cut, would make a fitting farewell to directing. The wizard Prospero is central to the action of The Tempest. Like Lynch, he is in his Autumn years and portrayed as wise and rational but also well-versed in magic and the esoteric arts. The character is often seen as an avatar for Shakespeare himself, enabling the artist to meditate on his creative life from within the play. Hard-of-hearing Gordon Cole is also a character familiar with the mysteries of the supernatural, yet grounded in the reason and logic of FBI investigation. By casting himself in the role, Lynch has gone one step further than the Bard, literally placing himself in his own story. And if we’re looking for suggestions that Cole represents Lynch – we need look no further than his job title, which has the word ‘Director’ in it. 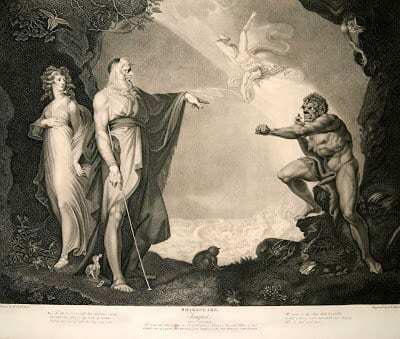 In The Tempest, Prospero’s magic becomes a metaphor for artistic creativity and theatrical technique. This allows Shakespeare to consider his art form and his own creative process. Just as the magician manipulates reality – so a playwright or a film-maker creates an immersive, convincing world in which an audience can temporarily live. Shakespeare is fascinated by the fact that through this unreal experience we can learn lessons that resonate with truth. Through the alchemy of art, the base metals of deception are transformed into the gold of insight and enlightenment. Lynch is also compelled to explore this process. His film Mulholland Drive is in many ways an extended riff on this interplay between art and reality, and The Return is peppered with moments that cause us to reflect on the mechanics of cinema and television. As Cole guides his team of agents through the strangeness of The Return – a Blue Rose case, “as blue as they get” – so Lynch directs his assembled cast through one of the most unusual and rewarding acting experiences of their lives. His onscreen guidance of the investigation mirrors his off-screen role as director. It is well documented in cast interviews that Lynch managed reality for his cast – he kept the big picture from them, only sharing pages of the script that had their own lines, without any wider context. This is similar to Gordon Cole, choosing what information about each line of investigation he should share with his various allies. And just as Shakespeare considers theatre a metaphor for life, so Lynch believes detective stories can teach us important lessons about our own existence. “We’re all like detectives in life. There’s something at the end of the trail that we’re all looking for,” he said in an interview. Prospero’s magical powers, we are told in the play, are so great that he can even raise the dead – “Graves at my command have waked their sleepers, oped, and let ’em forth, by my so potent Art.” This is especially interesting in the context of The Return, which prominently features so many performers who died before the show was aired, including Catherine Coulson, Miguel Ferrer and Warren Frost. Images of Frank Silva and Don Davis are also used creatively to give their characters a strong onscreen presence, though both actors died before production began. Through his “so potent Art”, Lynch has made them defy the grave and live on. He becomes Prospero, weaving his creative magic to subvert the natural order. There are other links in Twin Peaks between the roles of artist and sorcerer. In the original run Lynch’s son, Austin Jack, is seen playing Mrs Chalfont’s grandson, a young boy training to be a magician. 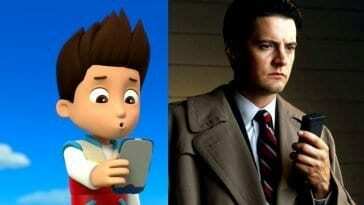 It is no coincidence that he is dressed to look like a ‘mini-me’ of Lynch himself. And in The Return, Cole is shown to have a profound understanding of the supernatural forces at work in the world. He, like Prospero, is seen conjuring with the elemental forces of the air, hands aloft at the edge of the Zone, a vortex swirling in the sky above him. Magic and creativity, sorcery and art – they become one and the same and just as Shakespeare explored his craft in The Tempest, Lynch is able to meditate on his own body of work through The Return. This series is packed with references to Lynch’s paintings and films. He repeatedly revisits moments, scenes, images and techniques that have formed part of his past work. Social media, blogs and forums were peppered after every episode with posts comparing shots from The Return to paintings, photographs and other works produced by Lynch in his prolific career. He also uses The Return to reference and homage the creations of his heroes and inspirations. The influence of Francis Bacon, Stanley Kubrick, Jaques Tati, and Edward Hopper is at times so strong it leaps out of the screen. Just as The Tempest forms a meditation on theatre and playwriting, so The Return offers Lynch a chance to consider painting, film and television. Speaking of television, Twin Peaks has always featured meta-commentary and pastiche of the medium. We need look no further than ‘Invitation to Love’ in the original run – where the melodrama of daytime soaps was affectionately parodied. But even in the absence of this ‘show within a show’ (itself a very Shakespearian technique), there is still a lot of self-referential commentary in The Return. Consider Albert’s dry quip “What happens in season two?” on hearing the convoluted tale of Bill Hastings, or the strangely layered New York sequence in which the TV audience watches two people onscreen who are, in turn, watching a glass box. The Return seems to directly comment on the viewer’s experience of watching the programme. The audience’s frustration at the agonisingly slow pacing of the Dougie-Cooper plotline is mirrored in the Mitchum brothers’ exasperation watching Candie on their monitors as she takes forever to collect a contact from the casino floor. 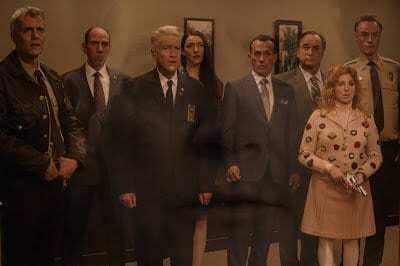 The Twin Peaks viewers’ constant theorising and puzzling over the clues and symbols Lynch presents is echoed in the strange, drawn-out conversation between Hawk, Lucy and Andy – in which the Deputy Chief repeatedly wonders “Is it about the bunny?”. And the tantalising way the show toys with its audience, holding answers constantly just out of reach, is reflected perfectly by Audrey Horne’s exasperation at her husband Charlie’s refusal to share the dramatic, important news he heard on the phone. 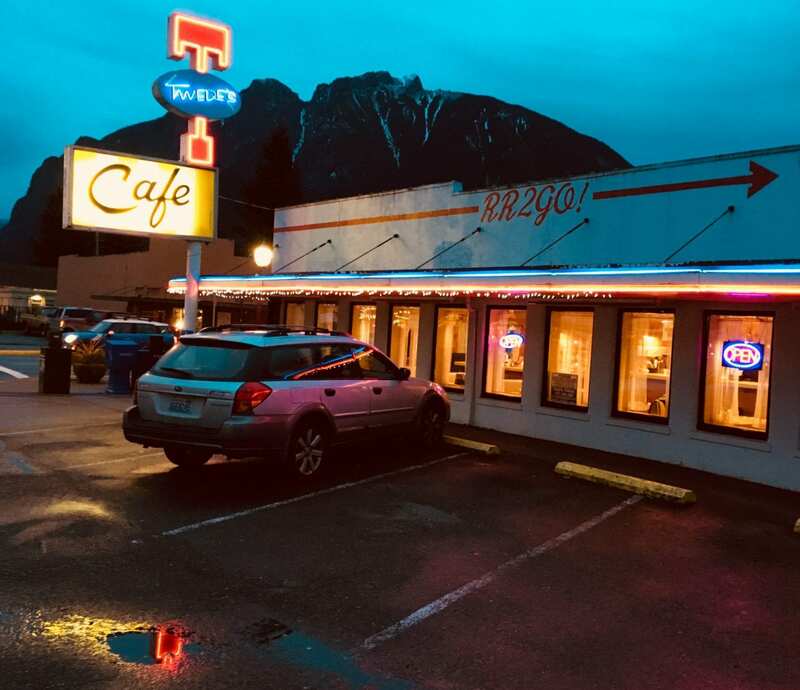 “You’re not going to tell me what she said?” she demands, in furious disbelief – becoming a mouthpiece for the viewers’ reaction to so much of Twin Peaks’ coy secret-keeping. Lynch has also shown he is willing to knowingly subvert the audience’s expectations of the show, often to the point of absurdity. Making us wait 11 hours to hear the words “damn good” from Cooper’s mouth was not an accident on his part. Neither was the systematic removal, replacement or distortion of familiar characters and settings from the original run. These are techniques that force us, as the audience, to become aware of our relationship to the show. Just as The Tempest provokes an audience to consider the mechanics of theatre and storytelling, so The Return makes us consider how we interact with television. There are other aspects of The Tempest that seem to hold pertinent parallels too. The character of Miranda, an innocent young woman and daughter of Prospero, features at the heart of Shakespeare’s story. She is depicted in conflict and counterpoint with the beast Caliban – who has attempted to “violate her honour”. Hopefully you can see where I’m going with this. Unlike Laura Palmer, Miranda is not killed. But she is still presented as a beacon of goodness against a backdrop of confusion, hurt and negative emotion – and she forms the centre of Prospero’s world. Miranda’s suffering is what inspires the sorcerer to become angry and vengeful. 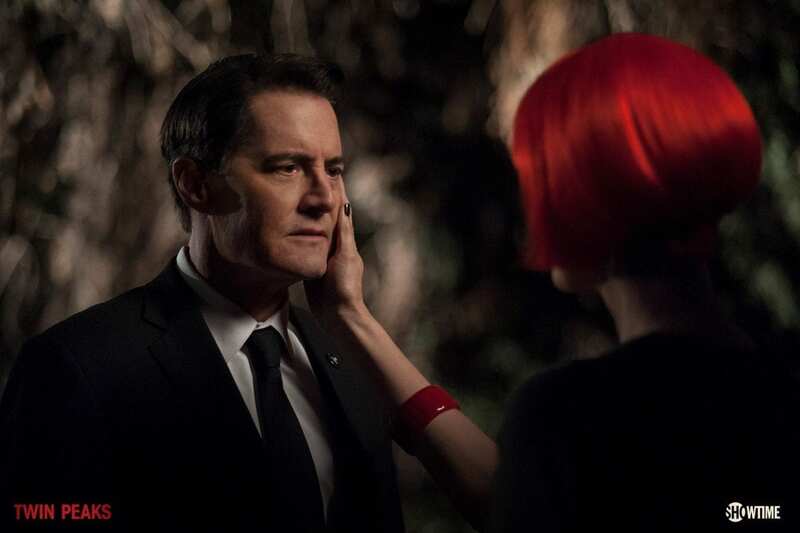 And while neither Lynch nor Cole is bitter like Prospero, it does seem they are both motivated to explore the darkness that surrounds Twin Peaks by a young woman’s purity and light. The character of Caliban is also interesting. He is often seen as representing the Freudian ‘Id’- our darkest, most primal, bestial desires. But he isn’t portrayed purely in black and white terms. The play invites debate. Prospero describes him as “a born devil, on whose nature / Nurture can never stick”. But Miranda repeatedly calls Caliban “a man”. Was he born a monster or made monstrous by the oppression of others? These questions and ideas carry a lot of resonance in Lynch’s nuanced explorations of ‘the evil that men do’ through characters like BOB, Mr C, Richard Horne and Leland Palmer. These are characters that exist on the same continuum as Caliban – somewhere between ‘flawed victim doing terrible things despite himself’ and ‘terrifying monster with nothing but evil in its heart’. 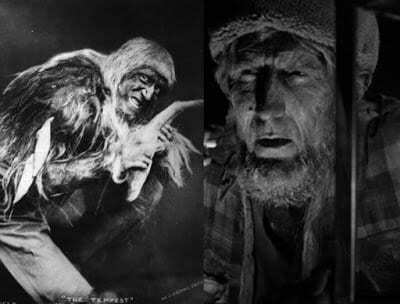 Interestingly, Caliban is often depicted as a nightmarish figure – a wild man, deformed or bestial – an image echoed clearly in Lynch’s unsettling visions of the charred Woodsmen. The Tempest tells us: “Hell is empty and all the devils are here”. The Giant, or Fireman, says “It is in our house now”. And speaking of the Woodsmen, let’s consider their unsettling poem, featured in the immediately legendary 8th part of the series: “This is the water, this is the well, drink full and descend”. Water imagery is key to The Tempest, which features many mentions of drowning, wild seas and storms. The element comes to represent loss and death, but also recovery and rebirth. The play suggests that through their suffering, the characters can gain something pure and good and more meaningful than the pain that precedes it. And although it isn’t easy to decode the ultimate message of The Return in terms of resolving pain and suffering, these themes do seem in harmony with the story he is telling. Goblins, spirits and objects imbued with magical properties – all these other-worldly forces play their part in the plot of The Tempest. Similarly, the world of The Return is populated with magic rings, inhabiting entities, super-power gloves and paranormal beings. Both works ground their stories in human experience and real-world situations (love, loss, betrayal, revenge) but add meaning and stylistic flourish by courting magic and the supernatural. As in many of his works, Shakespeare’s play repeatedly uses imagery around sleep and dreaming. As Prospero says: “We are such stuff as dreams are made on, and our little life is rounded with a sleep”. 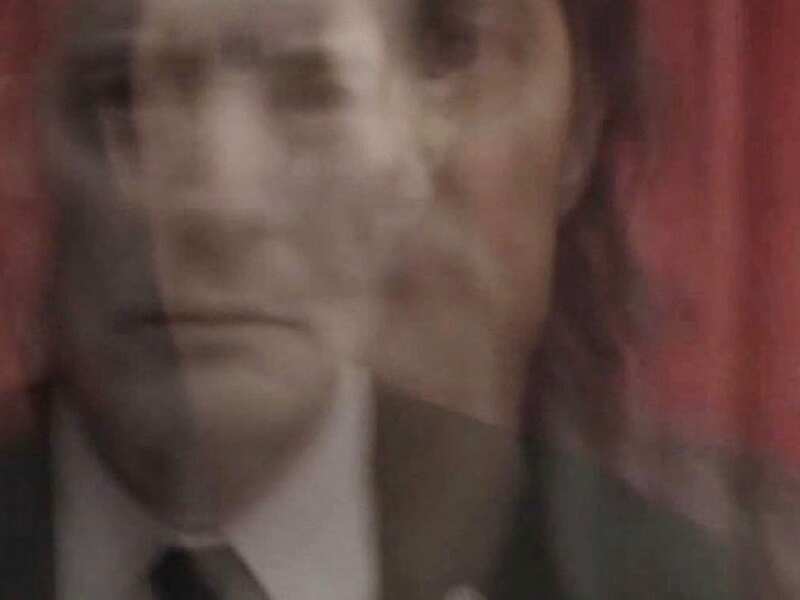 It is clear that dreams are also integral to Lynch’s work, especially in the world of Twin Peaks. Coopers’ dream – possibly the most famous dream sequence in television history – introduced us to the Lodges 25 years ago. In The Return, somnambulistic Dougie-Cooper is described by his long-suffering wife Janey-E as “Mr Dreamweaver” and colleagues accuse him of being “in dreamland”. Later in the series, Bradley Mitchum’s dream leads him to spare Cooper’s life. And in Part 12, Audrey tells her husband: “Dreams sometimes harken a truth”. For both Shakespeare and Lynch, the dream is another metaphor for storytelling and creativity, the illusion that paradoxically uncovers reality. The dream motif in The Return reaches a zenith in Part 14, when Lynch, as Gordon Cole, relates “another Monica Bellucci dream” to his FBI colleagues. In the dream, the Italian model speaks an “ancient phrase” from the Indian Upanishads – a set of Sanskrit philosophical texts adopted by both Hindu and Buddhist traditions: “We are like the dreamer who dreams and then lives inside the dream.” She goes on to ask, Cole explains, “But who is the dreamer?” In this context, it seems clear that Lynch is the dreamer who dreams and then lives inside the dream. He has created the world of Twin Peaks in his imagination and then placed himself within it, in the form of Deputy Director Gordon Cole. This is a powerful statement of intent. Lynch is trying to transport us to a new world. Prospero’s daughter Miranda, in the final act of The Tempest, famously thrills at the “brave new world” in which she finds herself. Now, like I said at the outset, some of these connections may feel a little tenuous (and I haven’t even mentioned the fact that a character in The Tempest becomes magically trapped in the wood of a pine tree). But I’m convinced there is something to it all. It’s something compelling, something that has been swirling through my mind ever since I watched Part 11. It is a beautiful thing that The Return can weather this level of intense reading and interpretation. The imagery of the series hits like lightning strikes, etching afterimages into the mind’s eye, whipping up a mental storm until we have no choice but to surrender to the tumult and allow ourselves to be swept away. The premiere of The Tempest for James I by the Kings Men occurred on November 1, 1611 during the opposition phase of the 20 year Saturn – Jupiter cycle. We were also in that phase of the cycle during the airing of the first two seasons. The Saturn/Jupiter cycle is said to be connected to great world events particularly during conjunction and opposition times. This is really interesting – I had no idea about those synchronicities!